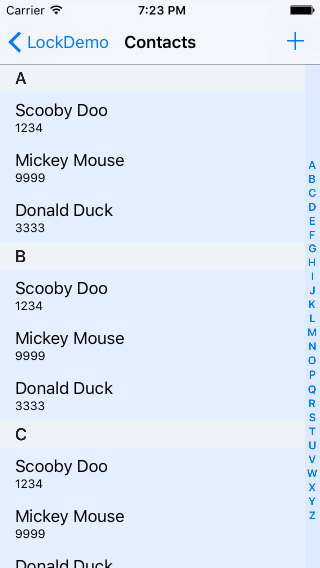 I have a list of contacts stored in a realm database, and now I want display the names of the contacts in a table view. 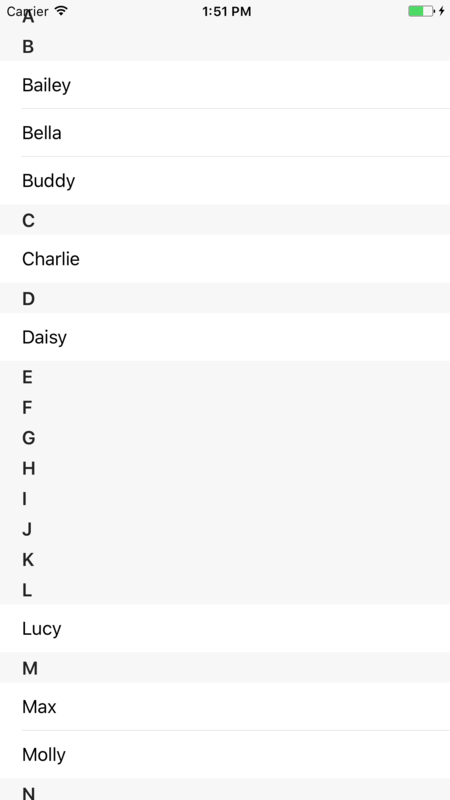 As a list this works fine and can be sorted in ascending order of names ok. I'm struggling with grouping these names for each letter in an index list. My code is filling each section with the same information. @IBOutlet weak var tblContacts: UITableView! let contactIndex = "A B C D E F G H I J K L M N O P Q R S T U V W X Y Z"
let identifer: String = "myCell"
Any suggestions on how to filter the realm database and populate the sections correctly? So I've amended the code using the first link and the sample given and it's displaying ok.
Now I have one more problem and thats the segue to the next controller. I can't seem to get the code correct to able to go to the correct row in the correct section. How can I select the correct row from the correct section? dynamic var keyNumber = ""
Not the answer you're looking for? 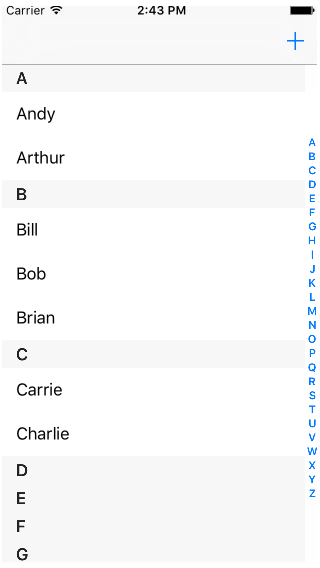 Browse other questions tagged ios swift uitableview realm or ask your own question.